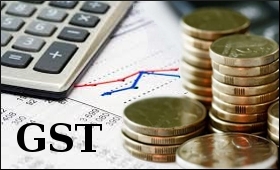 The government on Tuesday appealed to industry to pass on the benefit of a reduction in taxes under GST to consumers and announced the setting up of a Central Monitoring Committee (CMC) of 15 Secretaries to monitor the prices and supply situation following the roll-out of the new indirect tax regime. "Prices have not gone up," Revenue Secretary Hasmukh Adhia told reporters following the first meeting of the CMC here headed by the Cabinet Secretary. "I appeal to industry to help bring down prices, wherever there is a reduction in tax under GST," he said. Adhia informed the media that the CMC formed by the Cabinet Secretary includes the Secretaries of 15 departments of the government which have been instructed to attend to the issues faced by their individual client groups on account of the Goods and Services Tax that came into effect pan-India from July 1. The CMC will meet once a week on every Tuesday, he added. In this connection, the Secretary said his department had received 2,20,000 applications for new registrations under GST of which around half were fully completed. "Of the completed applications, 39,000 have already been approved and the rest will be deemed approved in the next three working days, unless states raise objections on specific cases," Adhia said. He also said that the government is launching a GST monitoring exercise from Wednesday, which would involve assigning all districts of the country to senior officials for supervision. Four to five districts would be grouped together for monitoring by a Joint Secretary or Additional Secretary from here who would be linked to the field through a link official of the Central Board of Excise and Customs (CBEC). There would be 175 top officials assigned to this job who would report on GST to the Cabinet Secretary, Adhia said. Avinash Srivastava, Secretary in the Department of Consumer Affairs, said Consumer Affairs Minister Ram Bilas Paswan had allowed traders, manufacturers and packers three months till September 30 to dispose of old stocks by displaying the changed price according to a "methodology". According to this method, the particular business in question has to issue advertisements in two newspapers informing the new price for items. Besides, the item packaging has to display the new price on a sticker in a way that the old price is also visible. Items which undergo a price reduction due to GST do not need to issue newspaper advertisements, but the sticker display of the new price on packing is the same for products whose prices have increased, Srivastava said. As different from the GST implemented elsewhere, which generally have 'standard', 'merit' and 'demerit' rates, the new regime in India has a four-slab rate structure of 5, 12, 18 and 28 per cent, respectively.